The Winthrop Rhythm and Blues Festival had the town jamming all weekend and the residents of Jamie’s Place were rocking out in their own way as well, courtesy of Cristina Dominguez, a recent Liberty Bell High School graduate who did her senior project at this unique adult family home for elderly residents with dementia and Alzheimer’s disease. Inspired by the “Alive Inside” project – a national philosophy to reach people with dementia and Alzheimer’s through music – Cristina raised $400 to purchase six sets of CD players and comfortable headsets to donate to Jamie’s Place residents, along with customized CDs of music reflecting the personal tastes of each elder. Cristina collaborated with Jamie’s Place board member Laura Ruud, whose mother enjoyed the last six years of her life as one of the original residents of the first Jamie’s Place house. Having her mother in residence at Jamie’s Place, says Laura, allowed them to benefit from a mother-daughter relationship in these final years, as opposed to a caregiver-patient connection. 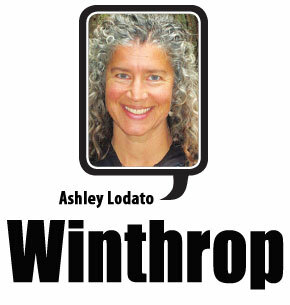 “It made all the difference in the world with my relationship with my mom at the end of her life,” says Laura. After viewing the “Alive Inside” documentary, Laura was interested in pursuing something similar for Jamie’s Place residents, but says she lacked the technological expertise to pull it off. “This is a job for a younger person!” Laura thought to herself. Where Baby Boomer faltered, Generation Z gracefully stepped in, in the form of Cristina interviewing Jamie’s Place residents, learning their ages, and researching popular music from when those residents were in their teens and early 20s – allegedly the time in our lives when popular music resonates most strongly with us. Last Thursday, Cristina presented the headphones and CD players to the residents, along with the personalized CDs. “It was quite inspiring,” says Laura, who was present for the event. “Our residents were laughing, singing and clapping.” One resident with very few responses, says Laura, was “quite invigorated” by the music. 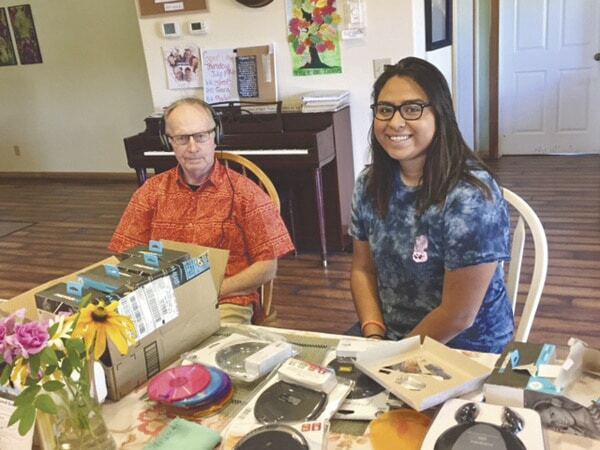 Cristina Dominguez raised money to purchase CD players and headsets for residents at Jamie’s Place to enjoy music. Cristina plans to move to the Seattle area in the fall to attend Shoreline Community College and earn her associate’s degree in social work before transferring to the University of Washington to complete a bachelor’s degree, so this project was helpful in giving her a look into a form of social work she had not before experienced. Like me, you are probably operating under the misguided assumption that Jamie’s Place has a long wait list, but this is not always true. Now, for example, there are two rooms available in this incredible adult family home. Contact Jamie’s Place at 996-4417 for more information.